Delta Fountains’ LA CES accredited courses (through ASLA) are available upon request. Presentations are held in your office, during your lunch hour, to groups up to 45 people. Please send your course requests below with at least 2-3 weeks notice. 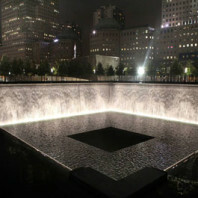 The National September 11th Memorial, the project explored through this course, incorporates waterfalls and water wall designs for large-scale features. 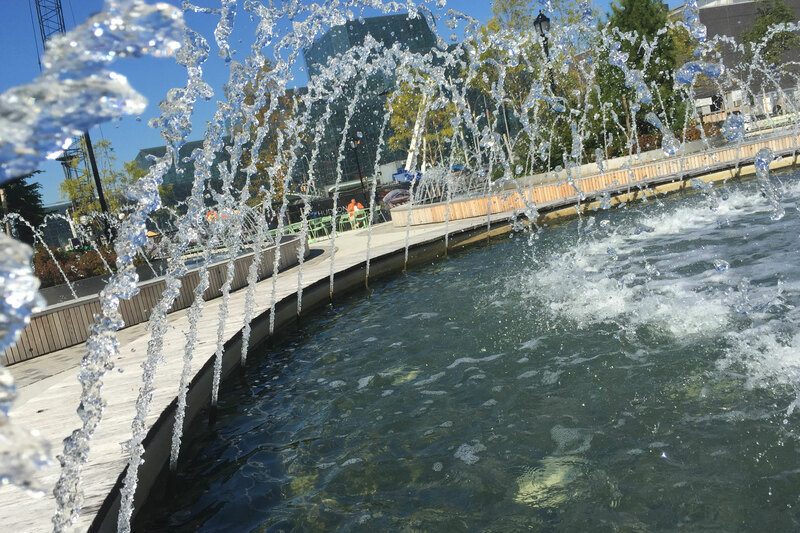 The landscape architects involved in its production utilized the most current technology available for fountain operation and data acquisition. The construction of these waterfalls and the different trades that had to be coordinated, as well as intricate weir design, parapet changes and more, are discussed in detail. Participants will be given a behind-the-scenes tour of the world’s most costly water feature in the United States, and will understand many of the challenges facing unique, large-scale displays. The details provided will make the participant much more aware of the steps that need to be taken in schematic, design development and construction documentation, which will allow them to provide their clients more accurate fee proposals for these types of systems. The importance of mock ups is discussed in detail, with images of actual mock ups and the changes they went through, in order to be able to move forward with construction. The participant will be more in tune with the need to discuss this necessary component with their clients when deciding whether or not to incorporate a fountain into the design. Many examples of custom fabrications are shown to the participants, along with their unique applications. The purpose is to let them see not only how intricate some features can become, but that products can be made to accomplish unusual fountains, where no off the shelf items can be found to do so. Delta Fountains Informational Architectural Water Feature Course offers assistance in specifying water features in different environments including types of equipment, and other factors. Water feature examples are also reviewed. All of this information should assist a Landscape Architect in choosing plantings, fountain finishes, and surrounding appurtenances for future projects. Learn about how to specify proper equipment for Architectural Water Features in different environments. Understand what types of equipment are best in what environments and other factors including surface expression, jet, pump, filtration and types of water treatment. Discuss different types of water features and review examples.